Well, my necromancer is nearly 70. I figure I should hit 80 in time for the second anniversary festival. Looking back, I think this will be the first time I’ve ever gotten two characters to the level cap in any MMO that weren’t a few years apart. Here are some reflections on the differences between the necro and my first 80, an engineer. They’re actually remarkably similar when you get down to the core–both are very DoT/debuff focused, and both can drastically change their play style by respecing and swapping out their slot skills–but there are some key differences that make me really like the necromancer a lot more. What I came to realize after playing my engineer for a while is that it is not a PvE class. I really didn’t have that much group utility. Grenades are wonderful in PvP–big AoEs for hitting moving targets and tons of range, which made a casual PvPer out of me when it’s been completely uninteresting to me before–but they aren’t worth much in a dungeon, or even the personal and living stories’ bosses. I’ve tried a few PvE builds, like the so-called Pyrotank, which many engineers swear by. Maybe I’m playing it wrong, and I’m pretty sure I’m geared wrong for it (my gear is mostly condition damage focused), but it never seemed that exciting to me for PvE or PvP. The necromancer has a lot more group utility, even in the 60s. The staff is similar to the grenade kit (big AoEs at good range), but the necro’s staff skills provide better debuffs and damage. Combine that with the group heal on the 2 skill, and it makes me feel like I’m actually contributing something more than downing the boss a little faster. And if you want DoTs, a necro with a scepter can crank out bleeds at a pretty impressive rate; I usually have around 10 stacks of bleeding at any given time by myself. Granted, the engineer has a much wider variety of DoTs–burns, bleeds, and poisons, oh my!–but the necro seems to crank out DoT damage faster. Necromancers can hold their own in PvP as well, with several condition-removing and condition-passing skills, and of course Death Shroud for damage avoidance. In fact, I feel like they’re the perfect foil for the engineer, which is probably why I got destroyed by them more than any other class. Also, maybe it’s just because I’m more experienced with the game now (and the fact that I haven’t reached Orr yet), but I feel like I’ve died a lot less on my necromancer than on my engineer. The engineer’s survivability is more dependent on interrupting and avoiding the enemy (which is somewhat infuriating in PvP, especially if you’re a melee class), while the necromancer is a glass cannon, killing everything before it has a chance to touch him. It turns out avoidance doesn’t work that well when you’ve got a swarm of bandits all around you (protip: never do Caudecus’s Manor explorable path 2 with a pickup group… it’s bad enough with voice chat). That’s not to say that I never die as a necromancer–I’m wearing light armor, after all–but I find myself on the ground a lot less. Of course, having a blood fiend healer-pet that occasionally takes heat off of me doesn’t hurt either (though I usually end up swapping him out for consume conditions or signet of vampirism in group settings since he doesn’t last long). Something I’m not a fan of is the new trait system. I didn’t realize until now that all of the major traits are now unlocked by some kind of achievement–mostly from obscure events. All of the characters I’ve had up to now have either been old enough to have most of the traits unlocked, or haven’t actually gotten to the new level 36 to start using major traits. They can also be unlocked by paying a fee of 10 silver to 3 gold (depending on the tier) for an unlock from your class trainer, but that’s almost more frustrating. Plus, on my necromancer, I feel like all of the good traits are in the upper tiers, whereas on my engineer I felt like I had more traits I wanted than slots to fill even from a low level. Maybe that’s just me. All in all, the necromancer is more like the class I thought I was getting when I signed up to become an engineer. Don’t get me wrong, I don’t regret my time with my engineer, but the necromancer is just a better fit for me. I plan on popping back in with my engineer when I feel like PvPing, but I think my necromancer will be my main character now. Who knows, maybe I’ll even finish all of the zone completion? Ok, probably not for a while, but it could happen. 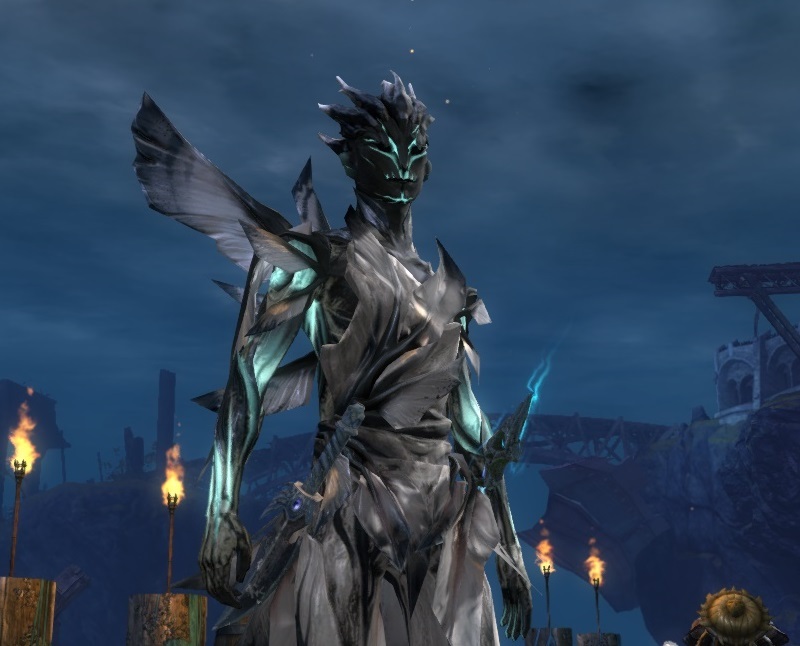 I wish my character slots weren’t all full, or I would definitely make a Sylvari guardian based on Groot.